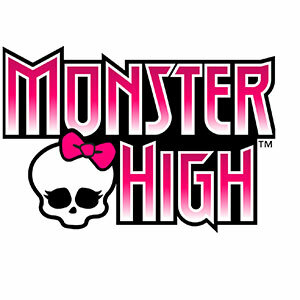 Everything is super-charged in the new Monster High™ movie Electrified -- the looks, the adventure and the fun! Monster High Electrified Monstrous Hair Ghouls Clawdeen Wolf Doll wants to bring her fashion ideas to life, and Frankie Stein™ provides the spark to make it happen. Everyone gets an amped up look with neon bright colors, stunning makeup and extra-colorful hairstyles. Spark up your imagination with Clawdeen Wolf™ doll -- she comes with six accessories for hair-raising hairstyling fun and a beastie friend! Amp up the hairstyling fun with the Monster High™ Electrified hairstyling dolls that have monstrous hair, six cute accessories and a beastie friend figure! Clawdeen Wolf™ doll has voltageous purple and black hair that’s fierce fun to style. Six hair accessories -- from clips to colorful hair extensions to hair ties -- have iconic shapes and neon colors to add to the styling fun. Clawdeen Wolf™ doll wears a stunning dress with a multi-colored graphic print and neon jelly accessories, including pink shoes and an orange studded belt. Recreate a hairstyle from the movie or spark up your imagination with lively looks of your own -- then take it down, comb it out and start again! A beastie friend figure adds to the monsterrific fun! Collect all of the Monster High™ Electrified dolls for even more energetic play (each sold separately, subject to availability).